Today marks 17 years of marriage with my wonderful wife Kim. I suppose she’s stood by me through more than most would have. I’ve always believed that the greatest thing that you can do for a loved one is support their dreams, and she’s always been willing to sacrifice for me to pursue mine. For that I am supremely grateful. While most couples have a song they consider their own, we really have 2 songs that are memorable to us. We danced to the song “We’re All Alone” by Boz Scaggs at our wedding, but I later performed the Beatles’ “Til There Was You” (well, not actually composed by the Beatles, but the version I was familiar with growing up) to her at our wedding reception. All songs have their merits. Randy Newman is one of my favorite all time songwriters, within and outside the movie world. But within the Toy Story series, he set the bar too high with “You’ve Got a Friend in Me” and “When Somebody Loved Me.”Though neither won the Academy Award for Best Song, both will be remembered as iconic songs in film history. Gwyneth Paltrow gives “Coming Home” Oscar buzz and perhaps makes it a sentimental favorite. “I See the Light” is beautifully performed and orchestrated, but perhaps a little reminiscent of past Disney film tunes. “If I Rise” with Dido and composer A.R. Rahman is from the movie 127 Hours. The story is that of a mountain climber who takes desperate measures after being trapped under a boulder, and it’s a testament to the strength of the human spirit. 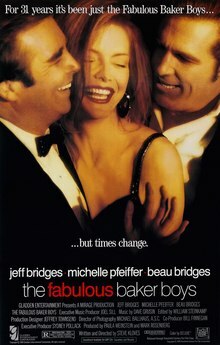 The song is a hauntingly beautiful song that captures both the mood and spirit of the film, and gets my nod for Best Song. The greatest malady facing our culture today is the fact that we seem to value fame more than talent. It’s a phenomenon that has been exacerbated by the explosion of reality TV and the likes of Snookie, Kendra and Hank, American Idol cast-off William “She Bangs” Hung, and the laundry list of dysfunctional characters parading themselves across the screen on a nightly basis. It’s particularly sad when those flashes of stardom flame out, because there’s essentially no talent or substance to fall back on. And that brings us to the story of Meatloaf. The animated rock/pop vocalist and performer burst onto the music scene in 1977 with the blockbuster album Bat Out of Hell, one of the best-selling albums of all time worldwide. The success of that album made the thought of any follow-up attempt daunting for the overnight music sensation. From the various accounts, it seems that he suffered from a temporary loss of his ability to sing brought on by psychological effects of that newfound stardom. The encore recording attempts were plagued by additional challenges including disagreements with his collaborative partner on B.O.O.H., drug use, and financial woes. Then the music world changed. In the late 70’s and early 80’s, punk rock shook the music world. Video music brought on the likes of Duran Duran, The Cure, The Human League, Depeche Mode, and a plethora of fashion-focused, synthesizer-based pop stars. Only a few years after achieving blockbuster success, Meatloaf was perceived by record industry executives as being as outdated as the mood ring and the pet rock, (pardon the 70’s references). But when in doubt, he fell back on his talent. Meatloaf was one of the most dynamic live performers of the 70’s rock era with a powerful voice. He took his larger than life act on the road to small bars and clubs. Meatloaf gave the same exhaustive live performances that he once gave in sold out arenas, and word began to spread. 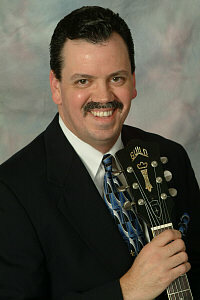 The audiences and venues began to grow, until the late 80’s and 90’s when the recording industry once again took notice. 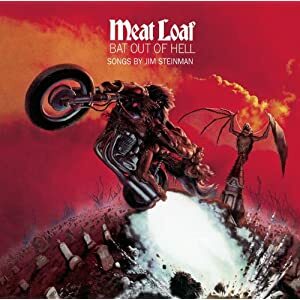 16 years after the release of B.O.O.H., Meatloaf released Bat Out of Hell II: Back into Hell which included “I’d Do Anything for Love,” a #1 hit in dozens of countries worldwide. Venerate people committed to excellence and hard work, and society wins. Applaud shallow fame, and we get what we deserve. In a previous post, I wrote about the struggle and dilemma of the artist – the fact that as you hone your skills you might perhaps begin to appeal to an increasingly narrow audience – and the idea that “simplicity” often outpaces “complexity or sophistication,” at least from a commercial standpoint. I was reminded of that idea again this evening while watching television. I am a huge Todd Rundgren fan. Todd has been at the forefront of most every music innovation of the last 4 decades. From music video (as a creative medium rather than a commercial), to “interactive” CDs, to subscription-based fan subsidized recording, he has broken ground time and time again. Oh, and his musical legacy is phenomenal – as a producer, musician, composer, etc., etc., etc. (BTW, it’s a crime he’s not in the Rock & Roll Hall of Fame, but that’s another story). I love his use of background vocals, the chordal complexity, the wit, edge, and outrage in his lyrics, and mostly his overall musicianship. But which Rundgren song do I hear most often? A simple ditty known as “Bang the Drum All Day.” It is played in every sports arena and most recently as the background music for a series of Carnival Cruise Line commercials. 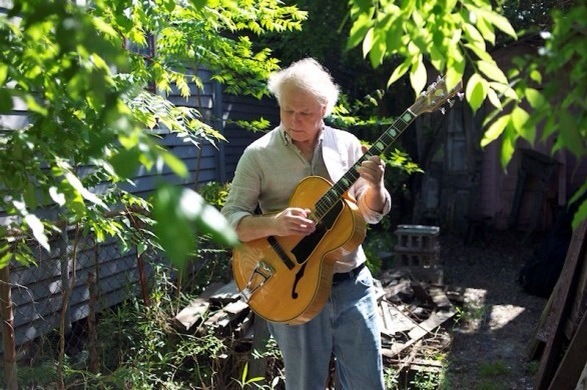 Here’s one of Todd’s most beautiful compositions, “Pretending to Care,” a song I first heard as a cover by Manhattan Transfer’s Janis Siegel on an album (Yes I have the vinyl version) called Short Stories with pianist Fred Hersch. 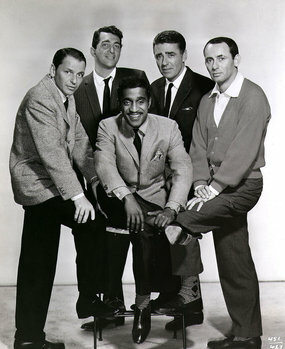 In the late 1950’s and early 60’s, the “Rat Pack” show at the Sands Hotel was the hottest ticket in Vegas. The group that eventually consisted of entertainers Frank Sinatra, Dean Martin, Sammy Davis, Jr., Peter Lawford, and Joey Bishop sang songs, told jokes, performed slapstick for laughs, and displayed various other forms of hijinks. But as those who were close to the action in those days tell it, the show was almost secondary. A seat at those shows was like an invitation to the greatest party on the planet. The performers were having a blast, and you were now a part of their inner circle sharing in the fun. Let’s take Louis Armstrong. Was there ever a moment that you watched him perform that you didn’t bel ieve music was the purest form of joy on the planet? I think not. 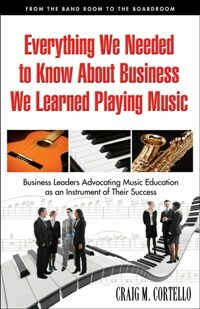 There’s a lesson for music educators and educators in general – Ultimately it’s your love of the subject matter that will inspire your students.